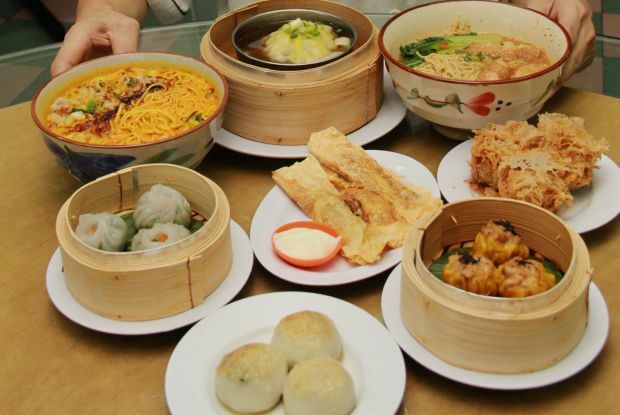 Tucked in a quiet neighbourhood, Tung Jing offers tasty bowls of noodles and fresh dim sum. HOW will it taste when two spicy soups — tom yam and curry —are combined? It sounds frighteningly spicy but the result is surprisingly delicious with the right dose of ingredients, as shown by Tung Jing (Dim Sum) Restaurant in Taman Midah, Cheras. The restaurant, run by Daniel Chia and his wife Minah, occupies a secluded old shop passed down by his mother-in-law. Still, the small establishment has a strong following as those who have tried their food, keep returning for more. The Tom Yam Curry Noodle is one of the main attractions, even Petaling Jaya residents come all the way for the slurpy delight. The tom yam soup entices the tastebuds with its tangy flavour suggesting appetising hints of lemongrass and kaffir lime leaf while curry lures with the aroma of spices. These notes blend harmoniously together with a dash of milk. Creative offering: Spicy Sesame Noodle is the chef’s latest creation. “We use fresh milk instead of coconut milk to give body to the soup, it is healthier and even seniors can enjoy this dish without having to worry about cholesterol,” said Chia, 43, adding that the soup was made upon order to ensure freshness. The springy homemade egg noodles adds value to these bowls of goodness. 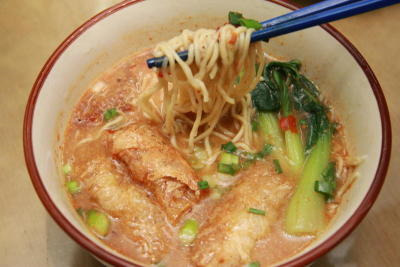 The restaurant serves seven types of noodles and the chef prides himself on his latest creation. Spicy Sesame Noodle offers both the aroma of sesame as well as a strong hint of black pepper. Chia reiterated that no boric acid was used in the making of the noodle and all other dim sum served at the restaurant. This is the place to savour “five-star quality” dim sum without burning a hole in your pocket. Premium offering: Steamed Giant Dumpling served insuperior stock. Chia worked at premium hotels before setting up his own business and his dexterity in making good dim sum is the result of years of training under a Hong Kong chef. Apart from using fresh and high quality ingredients, Chia believes that every dish should offer a touch of uniqueness, hence the care and creativity put into the delicacies served here. 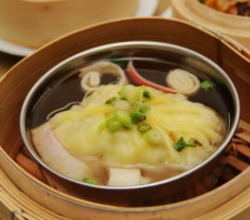 Steamed Giant Dumpling, for instance, is a well-known dish usually available at high-end Chinese restaurants but Chia’s version is a tad different with the addition of white fungus. The restaurant serves about 40 types of dim sum. Chives Dumpling is enhanced with a bit of lard instead of the usual dried shrimp while Siew Mai is spiced up with belacan. Fried Biscuit is an interesting dim sum with savoury filling made of prawn and chicken wrapped in a slightly sweet glutinous rice skin; the combination is delightful. The crispiness of the fried delicacies can last much longer thanks to the chef’s mastery. Do try out Deep Fried Yam Dumpling, Chia has done away with five-spice powder commonly used for this dish to offer a natural taste.